"(Beeswax is Unbleached. You will receive a one piece / or pieces of beeswax representing weight you order). 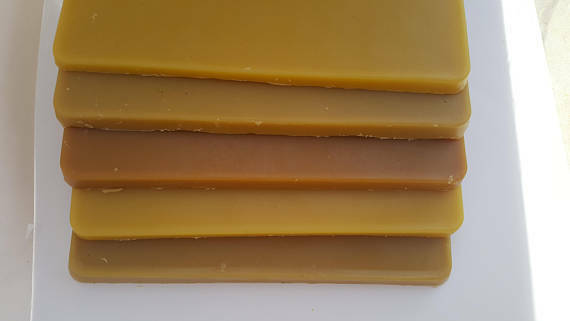 Premium Quality, Hand Poured Natural Raw Beeswax. BEESWAX UNALTERED NO ADDITIVES. 100% Pure and Natural Beeswax."